The day Chris Kelty spoke at Libre Graphics Meeting 2013, I was about halfway through his book, Two Bits. I had started reading it three weeks previous, and had burned through the first 150 pages during travel to and from another conference, LibrePlanet2013: an appropriate context for Kelty's arguments. LibrePlanet and Libre Graphics Meeting are both, as the names might imply, events with an interest in Free/Libre Open Source Software. They are events which work to build and promote specific ideas and views about relationships between individuals and software. LibrePlanet, organized by the Free Software Foundation, espouses perhaps the most radically freedom-based views of any large F/LOSS conference or meeting. Because of those views, and because LibrePlanet2013 was attended by upwards of one hundred F/LOSS developers and users, it provided a fertile ground for my reading and understanding of Kelty's book. My reading of Two Bits is associated with my qualifying examinations. In particular, his views on the materiality of software are of interest. These ideas, however, were not the focus of his talk at LGM 2013. Instead, Kelty spent his talk crafting a metaphor about the role of Free Software as a parasite. This comparison should not, he hastened to clarify, be taken as a negative one. Kelty grounded his discussion by elaborating the relationship between parasite and host, stressing the often symbiotic relationships between the two. It was with this sense of symbiosis in mind that Kelty offered the idea of Free Software as a parasite on the large technology industry (or the reverse, depending on the circumstances). The suggestion, in fact, was not that F/LOSS currently operates as a parasite, but that it should strive to be more parasitic. It should consider expanding its capabilities by using the additional qualities provided by the larger tech industry. Using the story of a parasite manipulating its host, Kelty offered the possibility that F/LOSS can save itself from extinction or marginalization through skillful manipulation. 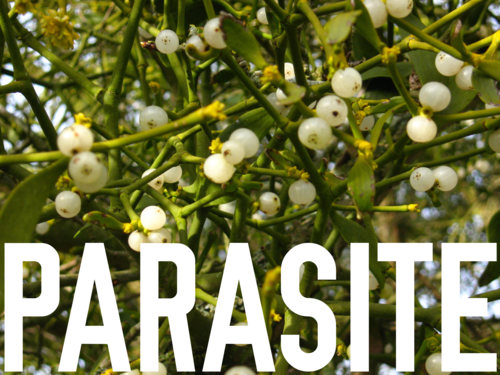 The parable continued, with a description of the lifecycle of parasites: being in turn free-living, existing on their own in the world, before being ingested, absorbed or otherwise integrated into a host. Kelty's suggestion is a provocative one: that F/LOSS is currently in its free-living stage, waiting to once more be eaten by the host that is Silicon Valley, to eventually take quiet control of the larger beast. It's an interesting suggestion, and one delivered with great sensitivity and nuance, as well as a clear understanding of the audience. Kelty effectively offers us, as a community of F/LOSS developers, users and promoters, the opportunity to think of ourselves as neither a marginalized community, nor a new paradigm in-waiting. Instead, he offers us the chance to see ourselves as a potentially powerful part of a much larger ecosystem, something we often avoid doing, or do only oppositionally. With Kelty's parasite parable in mind, it's worth coming back to the start of my recounting: reading Kelty's book en route to and from a Free Software and Free Culture event. LibrePlanet is a weekend-long moment in which members of Free Software and Free Culture communities see themselves as part of real, effective movements. That feeling of belonging is not something we have the pleasure of experiencing frequently. Instead, we are frequently subject to that combination of feelings described by Kelty: convinced that we are part of a paradigm shift in software, but acutely aware of how niche our activities currently are. Events like LibrePlanet and LGM offer us moments of kinship, alongside the feeling that others are like us, are concerned about the same things, and are working towards the same goals. As a fellow speaker at LibrePlanet put it, these are the moments when we recharge, feeling that, for a few days, everyone around us takes the same things for granted. Reading Two Bits in Cambridge, MA, a place which is arguably the homeland of the Free Software movement, feels like reading Walden in forested seclusion. Experiencing the places in which Kelty's case studies took place, being and being among F/LOSS developers and Free Culture advocates, while absorbing one of the most convincing theories of Free Software, was an important moment for me. Seeing Kelty talk a few weeks later, to a room of practitioners and activists, provides a bookend to my experience in Cambridge. Ideas which started bubbling and developing during LibrePlanet were given a new context by Kelty's talk. Two Bits was published in 2008, drawing on fieldwork conducted earlier. The context in which F/LOSS users and developers operate has changed radically in that time. Reading the book, I felt that difference. Listening to Kelty elaborate on the differences, the changes and the evolution in F/LOSS communities, I understood his view of the changes taking place, as well as the nascent parasitic strategy being offered as a coping mechanism. F/LOSS has lost some of its shine in the years between Kelty's fieldwork and today, but our politics are more defined. We see which niches we have to fill, and we see areas of threat. For my part, I increasingly see new areas for study, small puzzles in F/LOSS and other associated technology activism movements which would benefit from focus and elaboration. Kelty's talk (and his larger work) is very directly related to my own work, as I currently see it and as I would like it to be. He offers a number of ways forward, both conceptually and pragmatically. In viscerally experiencing Kelty's ideas, delivered within the contexts they explore, I feel a more urgent linkage between the F/LOSS communities I have belonged to for the last five years, and the ways in which my own academic work can go forward. The experience of integrating theory and practice, as I have experienced it in consuming and synthesizing Kelty's work, gives a powerful insight into the ways in which my academic work can encompass and be informed by the other passions in my life.